To access spatial data, click on the “Spatial Datasets” tab. 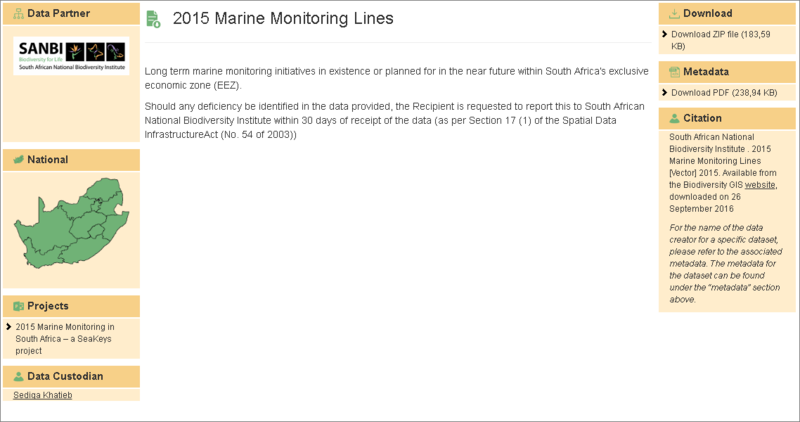 The “Spatial Datasets” section contains a master list of downloadable spatial datasets which can be viewed with GIS software. With the “search” tool, found at the top right-hand corner of the master list, search for data using relevant keywords. Once the relevant spatial dataset is found, click on the “View Spatial Dataset” button. Here the data and the metadata can be accessed. 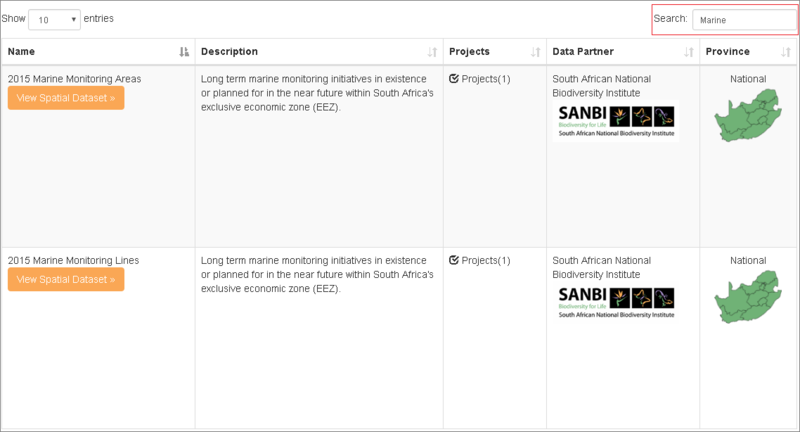 A brief description of the dataset, as well as information about the data partner(s), data custodian, the associated projects and the recommended citation can also be found. To download metadata, click on “Download PDF” under the “Metadata” heading. To download the spatial data, click on “Download ZIP file” under the Download heading found at the top right hand corner. The zipped folder should now start downloading.